Buy Tickets to manchester city football stadium Stadium. Experience The manchester city football stadium Stadium. How about a visit to Manchester City Stadium? Experience the unforgettable Legends Stadium and Club Tour. This is a fantastic opportunity to see the Etihad Stadium on a guided tour with your very own City Legend Host. This incredible tour provides you with a fascinating ‘behind the scenes’ look at the home of Manchester City Football Club. You will have the opportunity to have your personalised souvenir photo taken with your legendary host and journey through the stadium to visit the Home Team Changing Rooms and the Manager’s Dug Out. See what it’s like to be Pellegrini as you sit pitch-side and take his seat in the Press Conference Area. After your tour, you will head to one of the Platinum boxes where you will be served a delicious three-course meal with your host and take part in a Question and Answer session. This is your chance to ask a Legend anything you desire, so don’t miss this chance. You will also receive a 10% discount in the club shop so you can take home some special souvenirs. 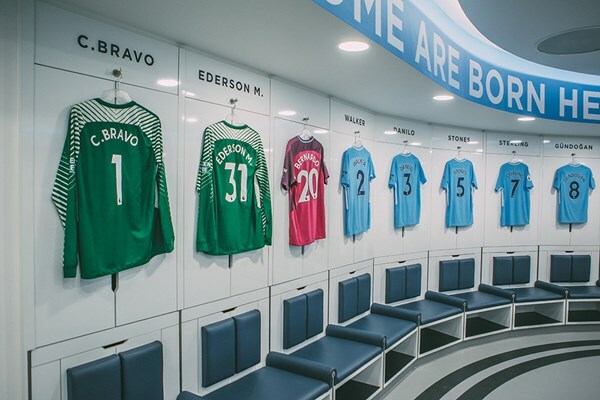 Follow the history of Manchester City with a stadium tour and take a trip around the state-of-the-art City Football Academy. Your professional guide will take you on an all-access tour of the Etihad Stadium, where you'll discover what happens on and off the pitch to make Manchester City FC the global force it is today. Take your seat in the dugout, walk the tunnel and face the world's media in the press conference room before checking out the inner sanctum of the dressing room. Combine your tour with a trip around the cutting-edge City Football Academy. See where the First Team, Elite Development Squad and Women's team train, for an insight into the life of a City footballer. From day to day training through to big game preparations, this experience offers a 360-degree perspective into all things Manchester City. 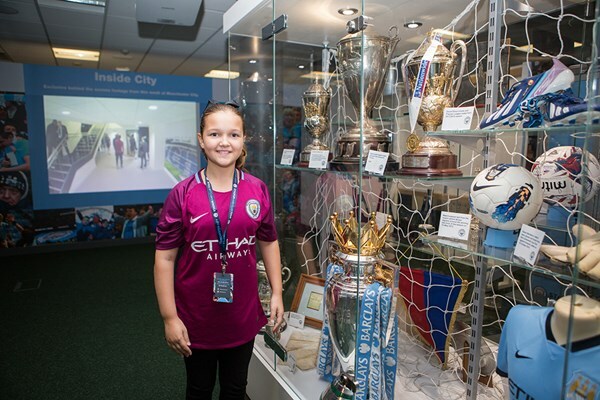 Treat a junior Citizen to a tour of Manchester City and a trip around the state-of-the-art City Football Academy. Your professional guide will take you on an all-access tour of the Etihad Stadium, where you'll discover what happens on and off the pitch to make Manchester City FC the global force it is today. Take your seats in the dugout, walk the tunnel and face the world's media in the press conference room before checking out the inner sanctum of the dressing room. The two of you will be able to combine your tour with a trip around the cutting-edge Football Academy. See where the First Team, Elite Development Squad and Women's team train, for an insight into the life of a City footballer. From day to day training through to big game preparations, this experience offers a 360-degree perspective into all things Manchester City for fans of the club old and young alike. Follow the history of Manchester City with a stadium tour for two adults and take a trip around the state-of-the-art City Football Academy. 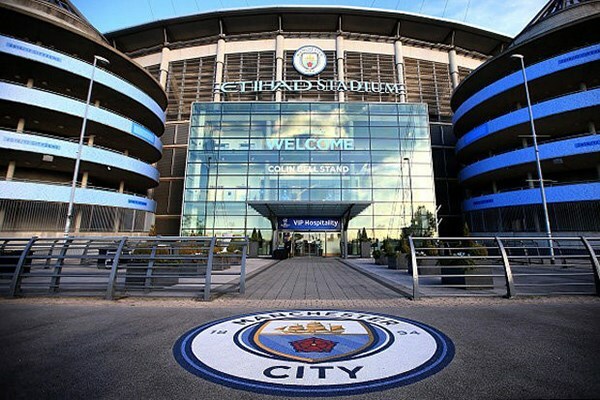 Your professional guide will take you on an all-access tour of the Etihad Stadium, where you'll discover what happens on and off the pitch to make Manchester City FC the global force it is today. Take your seats in the dugout, walk the tunnel and face the world's media in the press conference room before checking out the inner sanctum of the dressing room. Combine your tour with a trip around the cutting-edge City Football Academy. See where the First Team, Elite Development Squad and Women's team train, for an insight into the life of a City footballer. From day to day training through to big game preparations, this experience offers a 360-degree perspective into all things Manchester City.